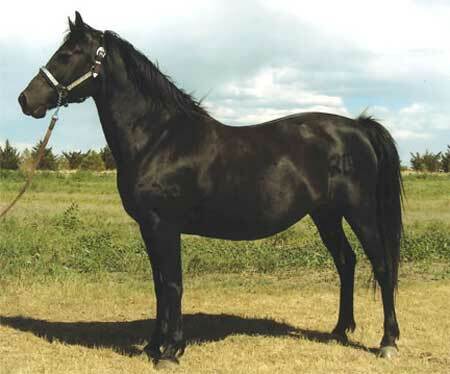 This beautiful black mare was sired by the legendary black stallion, Windhover Regency, and was a great-granddaughter of Flyhawk. Other well known sires in her pedigree include Mr. Breezy Cobra, The Airacobra, Go Hawk, Stetson, and Wyoming Flyhawk. She always produced outstanding foals with a super sweet disposition just like their dam.